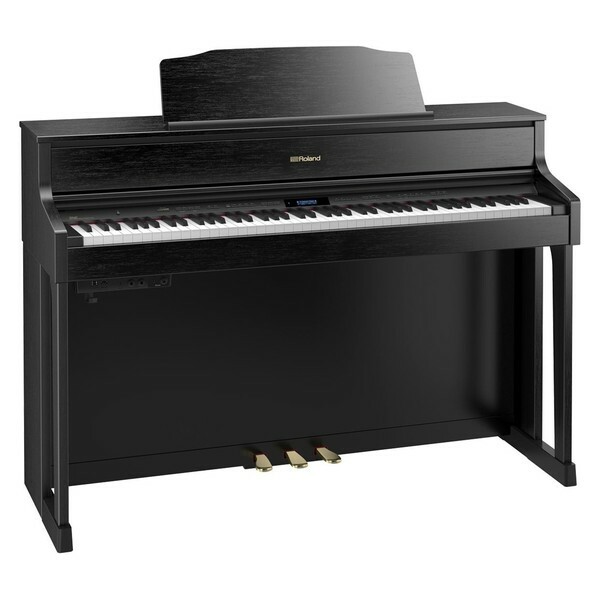 The Roland HP605 Digital Piano, featured here in contemporary black is designed to play and sound as close to an acoustic piano as possible. The HP605 uses Roland's latest piano sound engine as well as a key sensing system that ensures the keyboard and sounds work in harmony. Roland has considered how a Grand Piano sound can be achieved through headphones and rather than simply switching the speaker output to the headphone mix, the HP605 uses 3D ambience to optimise the audio so it sounds like it's coming from within the piano itself not through your headphones. Six speakers work together to recreate the deep, rich sound field of an acoustic piano ideal for hearing the potential of your playing. Special Offer: Any Roland GP, HP or LX instruments purchased between the 1st February 2017 and 31st July 2017 include a free 3 month subscription to Sheet Music Direct PASS for your smartphone, computer or tablet. SuperNATURAL - Roland’s acclaimed SuperNATURAL sound engine produces the rich, sophisticated tones of an acoustic grand piano for a more immersive experience. Also accurately presents the sound of a full variety of instruments. 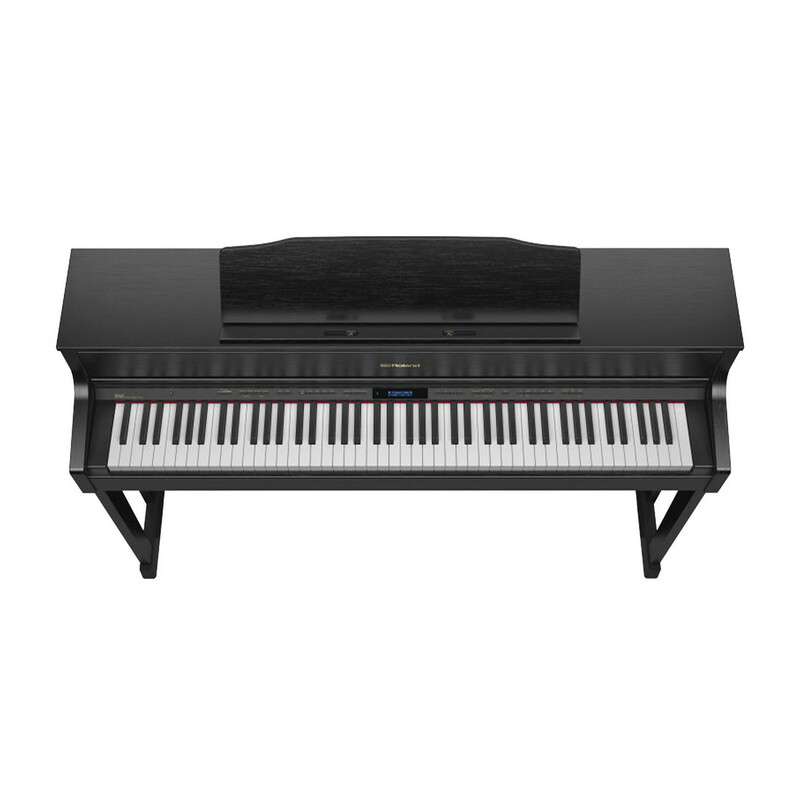 Bluetooth - Seamlessly integrate apps with your digital piano to make your preparation and performance a more interactive, entertaining experience. Ideal for students who want to learn independently. Ivory Feel - Offering a smooth surface with comfortable playability, the Ivory Feel is instantly recognisable as having a superior touch. This is ideal for musicians who have learnt on a variety of piano types. 3D Ambience - Produces a rich, engaging sound for your headphones. 3D sound fills your ears with the same enriching quality as the piano’s speakers, but remains a concert for one. Piascore App - Thousands of free music scores for iPad, keeping your learning experience constantly refreshed. The Piascore app occupies a full range of styles and abilities. 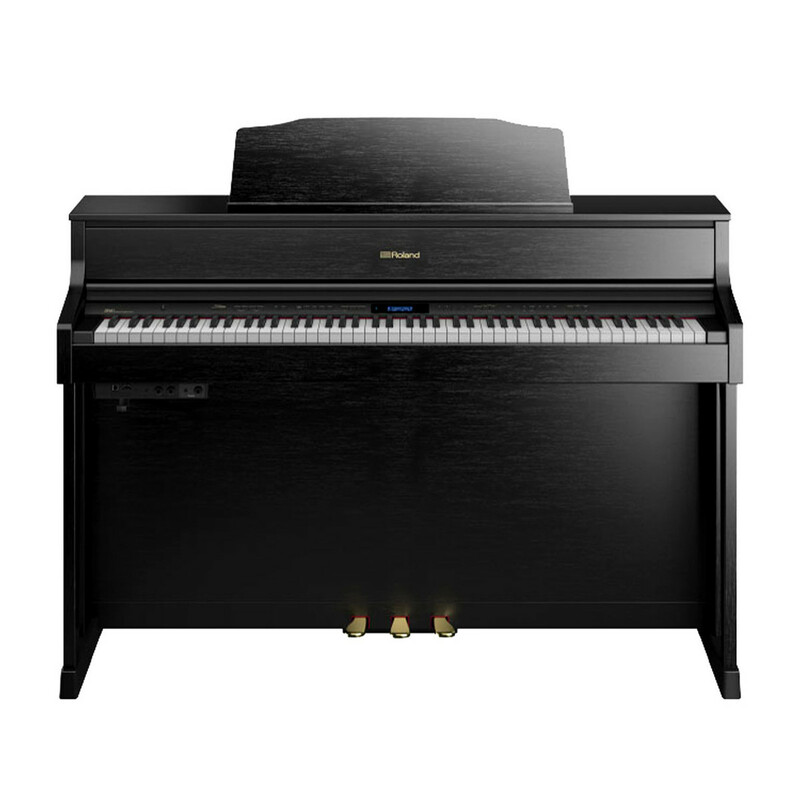 Following the purchase of this Roland Piano, you’ll also receive a free three month subscription to Sheet Music Direct PASS. This subscription service offers over 50,000 online music sheet titles, plus half price downloads for offline use or to print. The Sheet Music Direct PASS is available for your computer, smartphone or tablet. The HP605 uses Roland's SuperNATURAL piano modelling technology to recreate acoustic piano sounds. Rather than replaying a sample recording, the modelling technology takes into account the entire sound creation process of an acoustic piano. Along with a wide combination of variants, SuperNATURAL technology incorporates additional resonance that an acoustic piano would provide and how the different elements would interact with each other. The result of using this technology is an increased level of responsiveness and a rich sound with complex overtones that is not achievable from using piano samples. The HP605 houses a three-way, six-speaker system, driven by a powerful four-channel amplifier and each section fulfils a specific role in delivering superior piano tone. This system reproduces an authentic grand piano sound. 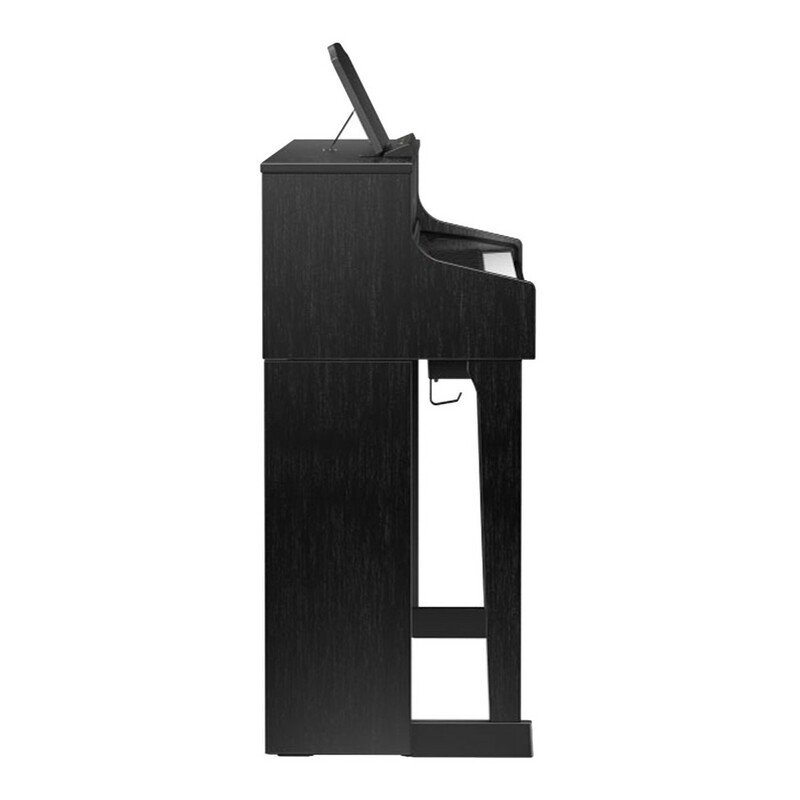 The powerful cabinet speakers produce the all-enveloping main piano sound, while the top-mounted spatial speakers reproduce the resonance of the piano?s frame. Finally, the nearfield speakers project the sounds most likely to be noticed by the player, including dramatic, dynamic overtones and even the noise of the hammers as they hit the piano string. The increased height of the cabinet further enhances the richness of the sound. Playing a Roland digital piano is a long term investment of time. That’s why Roland have offered a 10 year warranty with all of their HP and LX series instruments. These pianos have been designed for you to develop with for years to come, and feature the quality needed to achieve consistent progress. In order for optimum reliability, Roland’s 10 year warranty removes any worries concerning internal issues. This warranty protects your piano against failure due to a manufacturer fault. Roland believe that a lot can happen in 10 years, but your piano’s quality should remain at its optimum. For more details of the Roland 10 year UK manufacturer warranty please click here. When you add this product to your shopping basket, you will be provided with our standard courier delivery option free of charge, which is a 'to your door' service. You may need to help the delivery driver as this product comes packaged in large boxes! This option may not be suitable if you are unable to help the driver if required, or if you need the piano delivering upstairs but you don't have anyone else available to help. Please consider whether this is the most appropriate delivery service for you, as other delivery options are also available for an additional cost. If you select this option, two delivery personnel will deliver the piano boxes to any ground floor room of your choice, rather than just your front door. Please note that this service will take a few days longer than the standard courier service and the courier company will call you to arrange a convenient delivery date after you have placed the order. If you would like more information, please call us on 0330 365 4444.